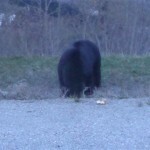 Camping in the mountains…..Are you Bear aware? The mountains…..so pristine, so beautiful. Uncorrupted by humans in their goal to make this landscape more people friendly with architectural design and development. Here in the Rocky Mountains of British Columbia, as in any heavily forested area, is a place where one can find their inner soul and grow. Not a place to try to make your environment adapt to you but with that peaceful and proud moment of knowing that you have adapted to your environment instead. If one goes into the bush thinking that they can change it to suit themselves, there’s a good chance they will not survive long enough to make it out…Deep woods camping is fun but, do not suddenly decide to go into the mountains without having some outdoor experience first..
A guide is best, but remember he/she is not your babysitter. Everyone must be willing to pitch in if you are to achieve a memorable experience. If you cannot pull your own weight, then do not step up to the challenge…Your guide’s job is to lead you to wonderful places to enjoy and to lead you out .To make you aware of the dangers that are ever present and to teach you how to avoid them and prevent them when possible .Your guide is NOT your cook, servant or responsible for setting up your camp. If he/she tells you no cooking bacon, as tough as that may seem, they have good reason. Do not argue. You may be in bear country and to do so may bring the bears in fast and hard. Your guide has done this trip before and survived. 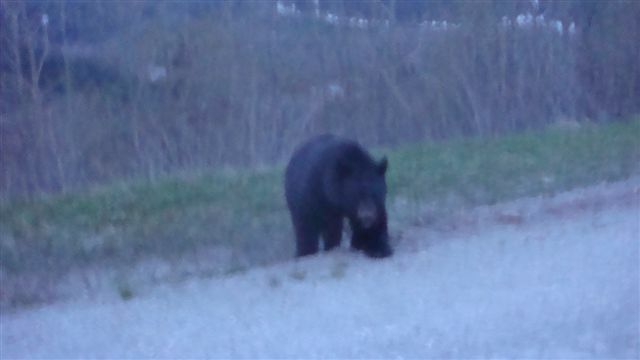 I have seen bears come in just from the smell of grilling burgers and this was at my home. They came down off the power line trail and into the yard. Not all bears are afraid of people. Just because he ran into the bushes does not mean he is gone. Black bears, especially, will sit and watch just out of sight, waiting for an opportunity to come in and look for where that delicious smell is coming from. Most times you will not even see them. But you will smell them. Guaranteed. They smell like wet, rotten wood. Kind of like sour earthy smell. Once you have smelled a bear you will never forget the odor .It has saved me more than once from stumbling upon one laid up in the poplar grove…. My friend likes to joke and say I am a bear whisperer in the making but it is no joke. Hah! Couldn’t be farther from the truth. When you share an environment with something that can eat you without a moment’s hesitation, you tend to count on common sense and pay attention. They are beautiful animals and I love to watch them, and I would like to continue to do so….so I try to keep my head. 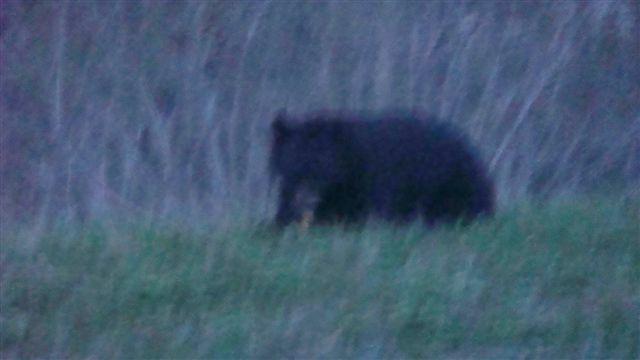 They are not called the black ghosts for nothing…..I have seen a very large male (called a boar) run thru the Saskatoon berry bushes and not make a sound and he seemed to vanish. His odor told me otherwise, though try as I might, I could not see him. Not a branch moved nor a single blade of long grass. Very much the black ghost his title is earned and well deserved. So I would like to share with you the safety precautions that I have taken, and they have worked, for I am here to talk about it. Always make sure you make noise when walking a heavily bushed area or trail. Remember we are in their home. Sing, talk out loud even if it’s just to yourself. It may seem a little silly but it could save your life. Most bears will avoid you if they hear you coming. On very rare occasions, when bears are extremely hungry or have learned to associate humans with having food, they will come into your camp. Black bears have been known to track a hunter by circling up behind them, stalking to try and claim his animal that the human has taken. Especially when the hunter is packing out the meat. In some cases the hunter has had to shoot the bear for his own safety. 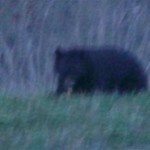 Under no circumstance is running from a bear going to help you if it has seen you….It will trigger a natural instinct within the animal to chase. It cannot be helped. It’s like asking a river not to flow. If you run, you are now prey. Should you encounter one on the trail, or on a hike, try to back away slowly calling out. For example,” Whoa bear, easy bear” as you continue backing up. Use a firm voice but not aggressive and continue to back away ,keeping your eyes on his movements at all times, until you are at a safe distance to go back the way you came, or to make a very wide berth around him if you must continue. 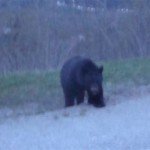 Continue to call out to warn him of your presence and never, ever turn your back on a bear. A lot of bears will do what is called a false charge. They will do this to encourage you to leave them be. DO NOT RUN. Swallow down that fear and back off as described above. Remain calm (even though you may be terrified) Mother bears with cubs however, are a different story. They are not known for the false charge. If she charges, she will keep coming and she is intent on taking you out. To her, you are a threat to her cubs. Avoid bears with cubs, as cute as they may be, it’s not worth it when momma has gotten ahold of you…..
Young cubs, like two year olds, instinctively know about the charge as a defence, but as they haven’t matured yet, have not come to realize that the false charge is very effective to run off something they feel is a threat to them. They will follow thru and keep coming if provoked. A misconception is that a bear will attack for no reason, for sport even. This is false. Two main reasons, and there are variables to this, is (1) they feel you are a threat and feel backed into a corner, or (2) starvation that has led to desperation. Keep all foods in a tied plastic bag (garbage bags will work if you triple up) and hung up out of reach. Do not leave in cooler or car as this poses no deterrent to bears. One case in Alaska states that a pontoon plane was destroyed by a bear as it sat on the beach. It had contained bait fish that had been removed while fishermen were fishing and the smell lingered inside the aircraft……Please pack out all cans, bottles, and plastic from your site when leaving so they will not hang around for the next group of campers that come in. And of course make sure your fire is completely out before leaving…….. This section is for the ladies. So excuse us gentlemen as they need to have this information. Ladies, if it is the time of your monthly visitor, it might be wise to postpone your camping adventure in the deep wilderness, particularly if you are planning to sleep in a tent. If in a cabin, be sure to burn all toiletries immediately after use. Bears do not understand that you are not wounded. There gentlemen, that wasn’t so bad was it? I do not claim to be an expert on bears or their behavior .These tips are from my own personal experience. 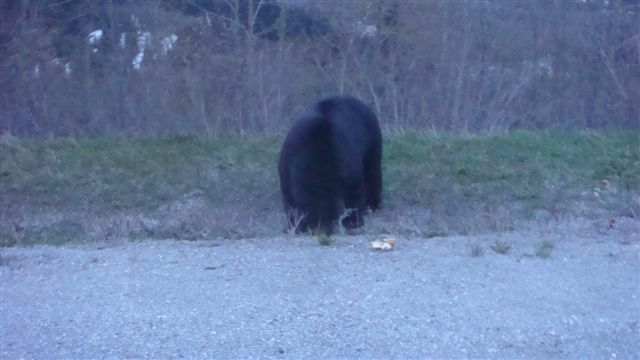 I lived with a very dense population of bears in the interior of British Columbia and as I am a 5’3″ woman that weighs in at 130 lbs, a black bear can outweigh me by at least 6 to 700 lbs and outrun me within seconds and climbing a tree won’t help. Blacks can climb too, and fast. Trying to stop a charging bear without a fire arm is like trying to stop a train with your bare hands .The best advice I can give is to try and avoid them at all costs. Try not to draw them in to you or your camp. NEVER be aggressive towards them and DON”T RUN. Think about everything you do before you do it in bear country. They are a BIG predator. Now that you are more bear aware, enjoy your nature adventure…Be safe, Be smart, Be alert. And Happy camping!!!! What a great & interesting story. I always remember this story when camping where there is bear in the woods. Thanks for sharing this news. What an interesting story, I am packing my tripod & cast iron in my truck for an adventurous outing in the back woods. This really brings some good tips to be aware of. (not that I personally would want to…HaHa). You certainly put a new spin on a subject which has been written about for many years.